Very reliable and always fairly priced. Over the period that we have done work together. I have recommended Mr Thorn for work in the past, and would not hesitate to recommend him in the future. Tony from Fiberglass Things has carried out many installs within our garden design projects to a very high standard, nothing is ever to much trouble and he is reliable and courteous. We have always had a first class, fast and accommodating service from tony at ‘fibreglass things’The work is first class and no problem is to much trouble.Any work we have in grp we do not hesitate in calling Tony. 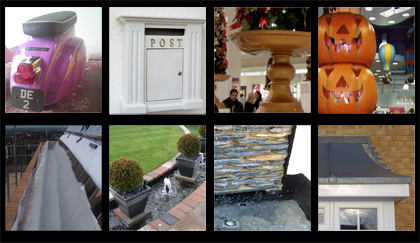 We have 30 years experience in Glass Reinforced Plastics.